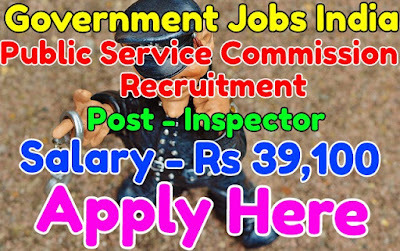 Public Service Commission has published recruitment notification 2017 for 07 inspector of boilers posts. All legible and interested candidates have to apply on or before (06-02-2017). Further more information about given posts is mentioned in detailed below. 2. Inspector of Boilers - 02. Salary and Grade pay - For post(1), the salary will be Rs 10,230 - 34,800 with Rs 4,600 grade pay, for post(2), the salary will be Rs 15,600 - 39,100 with Rs 6,800 grade pay. To know more about salary details as post wise go to detailed advertisement. Age Limit - For public service commission recruitment, candidate age should be less than 40 years. To know more about age details, click on detailed advertisement. 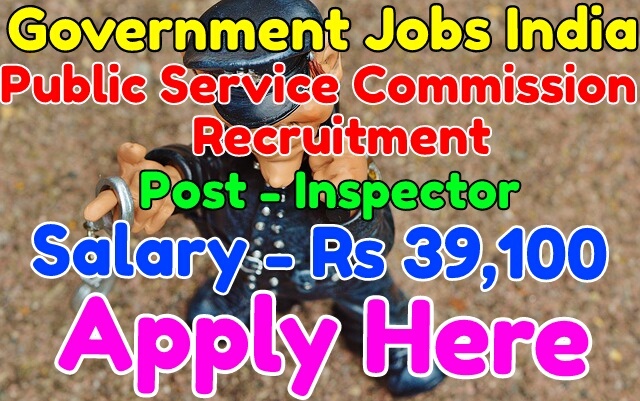 Educational Qualifications for given posts - To apply for the mentioned posts, candidate should must have done 10th, 12th , graduation degree in mechanical or power plant or its equivalent / relevant / higher qualification from a recognized board or university. Selection Method - A candidate will be selected on the basis of their performance in written exam and personal interview. How to Apply - All legible and interested candidates can download application form through official website http://www.tpsc.gov.in. After downloading and filling the application form, candidates have to send hard copy of application form with relevant / needed testimonials(which is fully mentioned in detailed advertisement) to the given address. Last Date - Candidates have to apply on or before (06-02-2017). Application Fee - Rs 200 for General / OBC candidates and Rs 150 for ST/SC candidates.